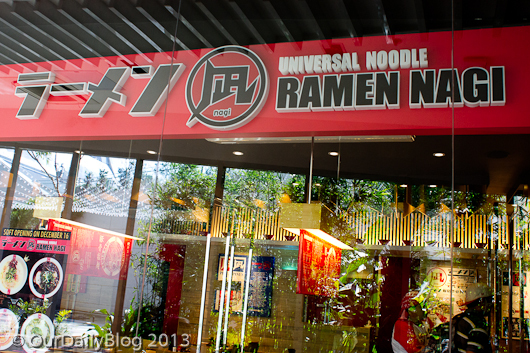 …they serve nothing else but ramen just like that place in SF we love! 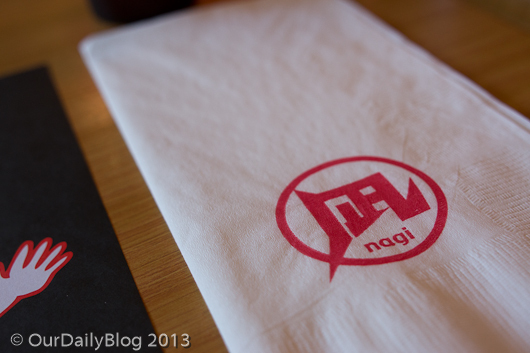 From how savory you want your broth to how done you want your noodles, Ramen Nagi will customize your bowl for you. 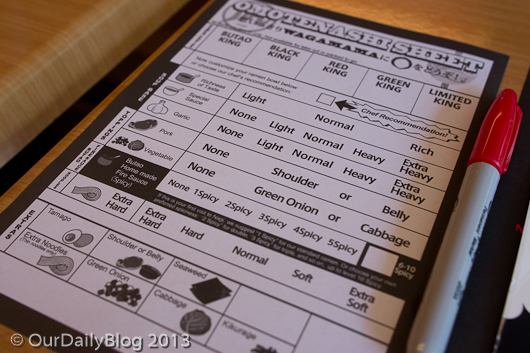 But if you’re one of those people who go into crisis when given too many options, there is a box that you can tick for the chef’s recommendation. 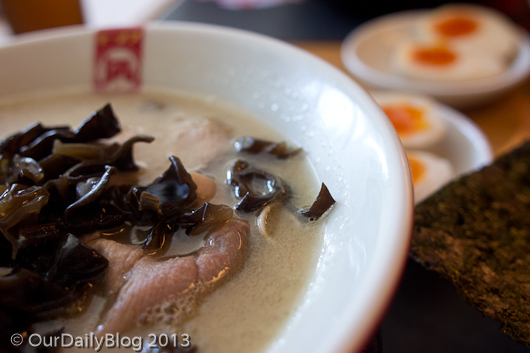 Hubby decided to order a bowl of their signature rich Butao broth with hard noodles, pork shoulders, tamago and seaweed. 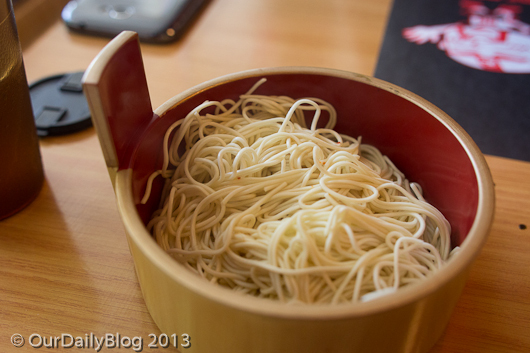 The noodles were perfect and could easily be picked up with Nagi‘s cool corrugated chopsticks. 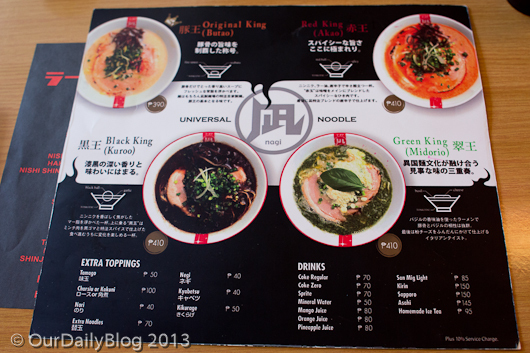 I decided i was going to be adventurous and opted for the rich Kuroo base with pork belly, hard noodles, tamago and seaweed. 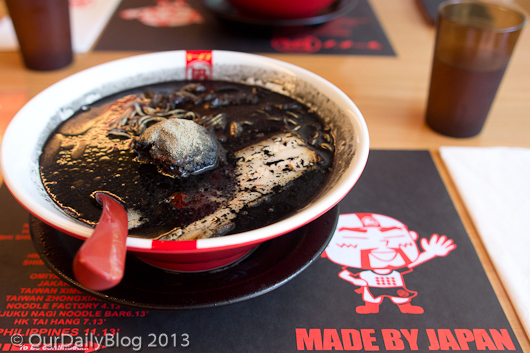 the tender pork belly and perfect noodles submerged in the silky dark broth was just so delicious! 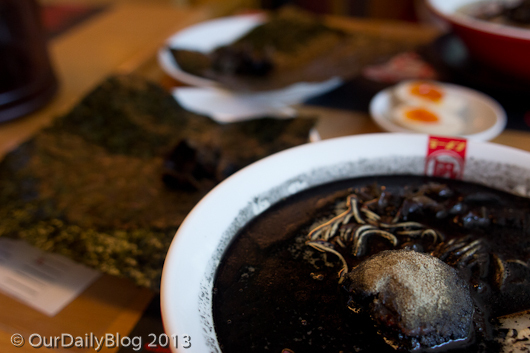 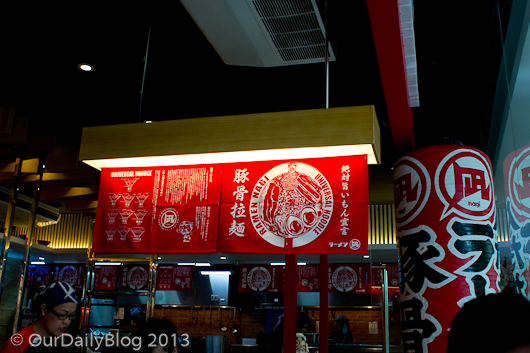 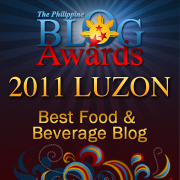 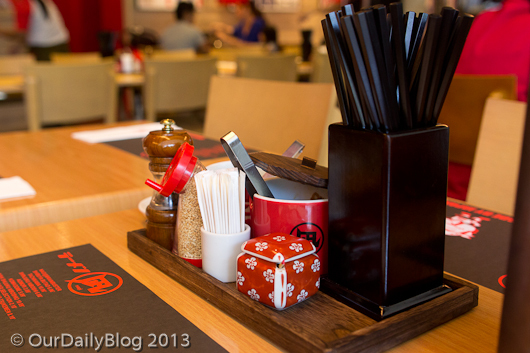 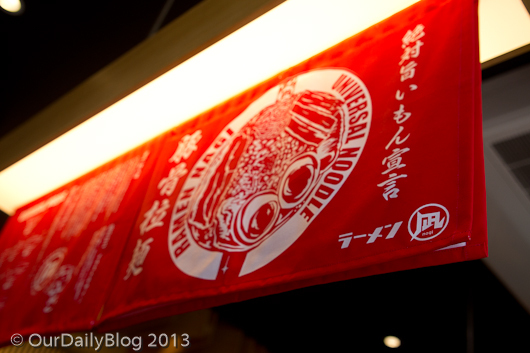 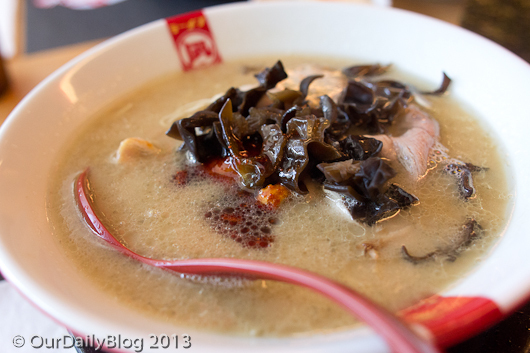 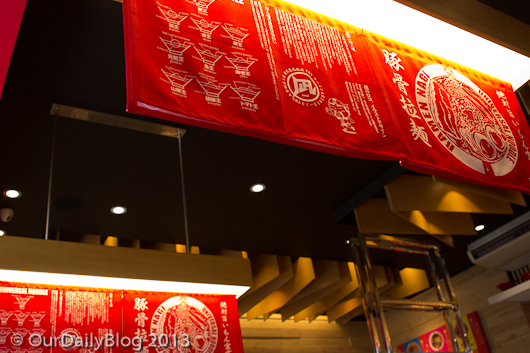 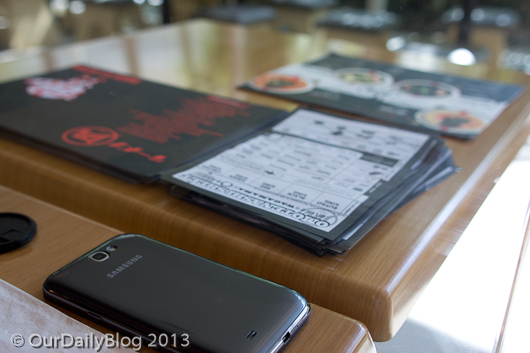 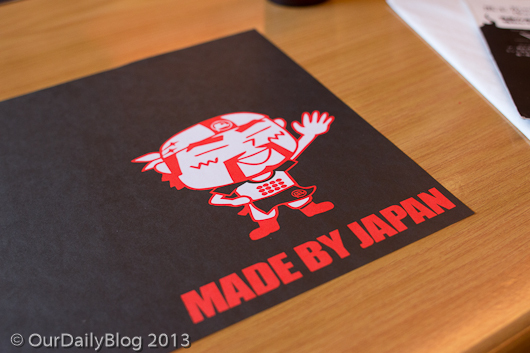 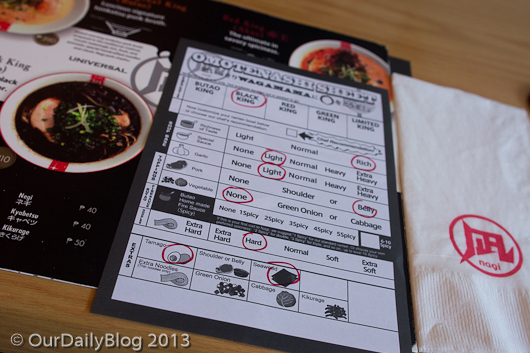 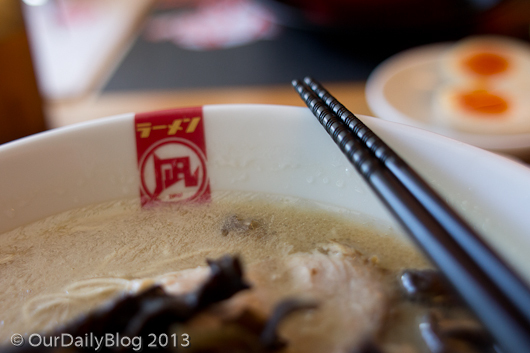 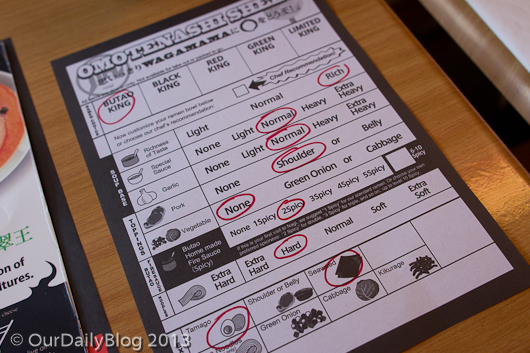 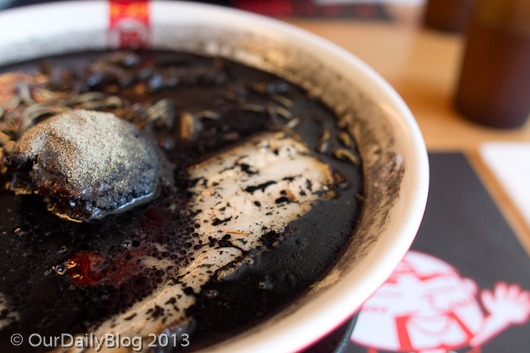 …this place serves the best bowl of ramen i have tasted in Manila!